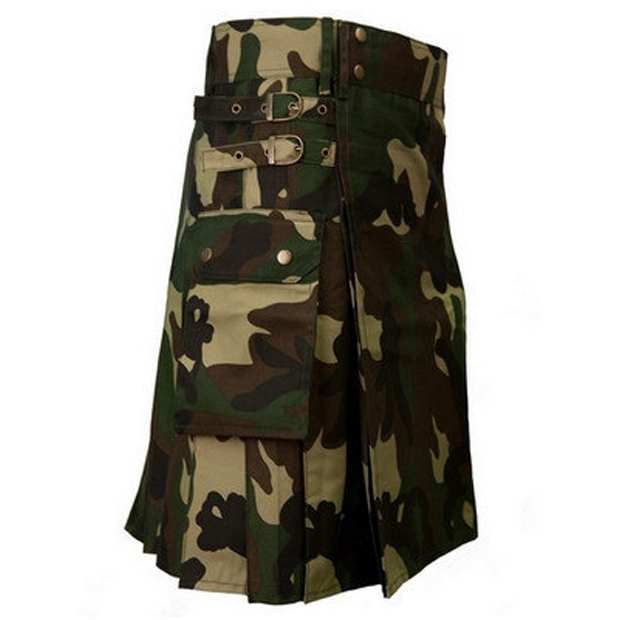 Woodland Camouflage Utility Kilt is the ultimate kilt for the outdoor enthusiast. 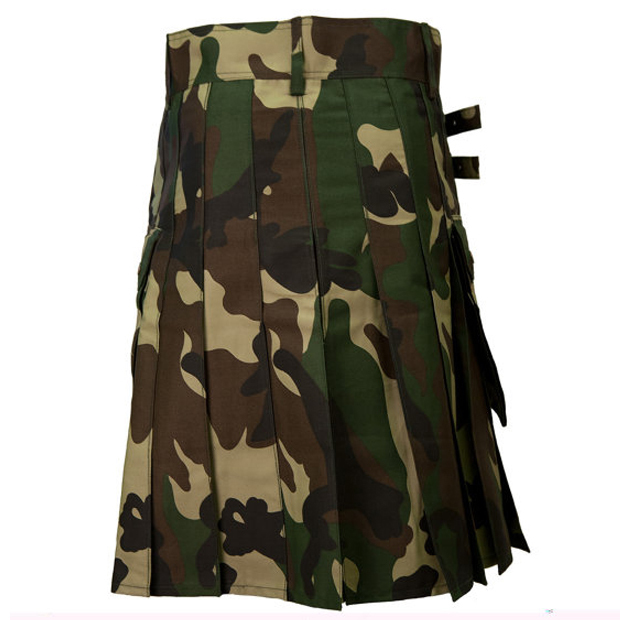 Our Army Sports Kilt comes with just about everything anyone would need that spends time in the outdoors. 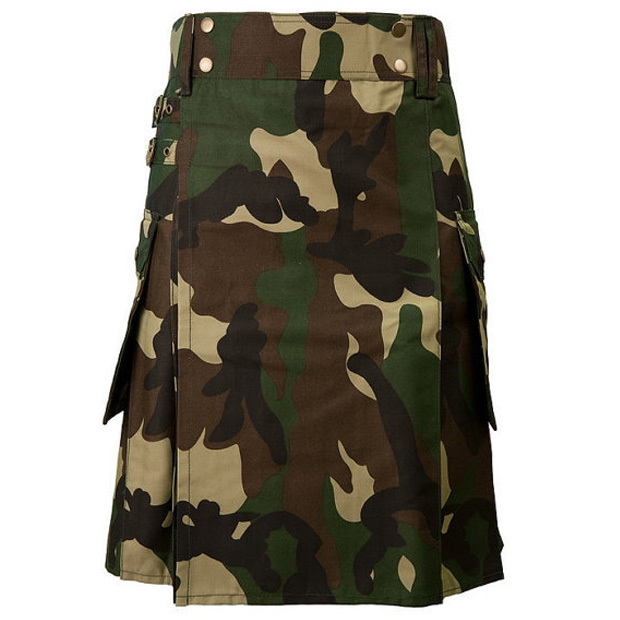 This Camo Utility kilt can take just about anything Mother Nature can throw at it. 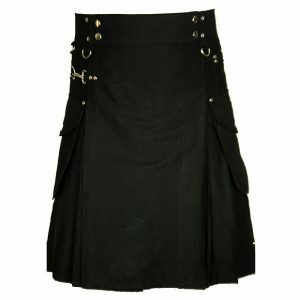 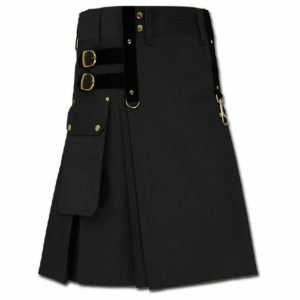 We accept complete custom kilt in size, camo, button, length, waist, label and as well as we accept all-new design from the buyer.